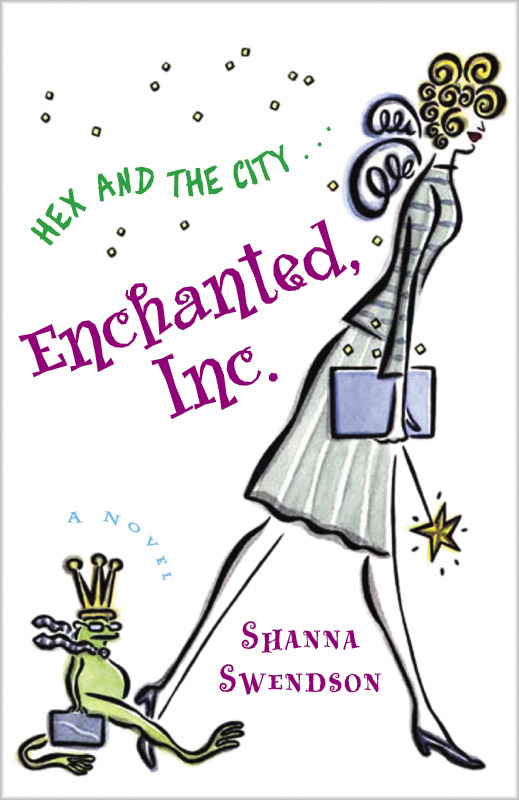 I realized yesterday that it was around this time fifteen years ago that I started writing the first Enchanted, Inc. book. I’m not sure of the exact date, but I know it was early October. I’d had the first spark of idea in early 2002 but didn’t do anything with it because I was focused on some other projects and wasn’t sure there was a market for it because I’d never seen anything like it. I hadn’t seen much fantasy in a contemporary setting, and the early bits of “urban fantasy” that had come out were much darker and more serious. “Chick lit” was a hot market, but I hadn’t yet seen any with fantasy or paranormal elements. Then I had a conversation with an editor at a conference in the summer of 2003, and she was enthusiastic about the idea. I had something else to work on first that I’d promised to another editor (that ended up going nowhere). In early September, I started doing research, and I added a side trip to New York to a trip I was taking in late September so I could do location research. After I got home, I spent a few days doing a bit more development of the plot and characters, and then in early October, I started writing. That means I’ve been living in that “universe” off and on for more than 15 years. I’ve known Katie and Owen longer than I have most of my current friends (whom I met after that first book was published). And yet, the characters have barely made it through two years. I’ve been trying to stay on the same timeline with them, so I’m at the point where those books almost count as historical fiction. The ninth book went off to the copyeditor this week. I’m not going to say “never” since I never know when an idea will strike me, but I think that’s going to be the last full-length book in this series. I may do some short pieces set in that universe. If I get another idea, I will probably make it the start of a new series and do a big time jump. But I think nine books and fifteen years is a good run for a series, and I’d rather not get to a point where I’m bored with it. Of course, now that I’ve said that, I’ll probably get hit with an idea that will distract me from the book I’m supposed to be writing.